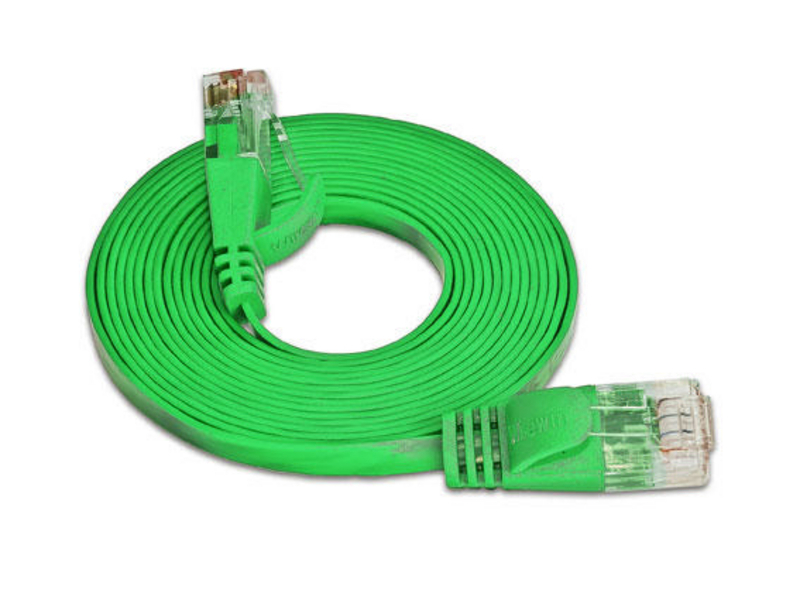 These flat/slim patch cables occupy a fraction of the space required by conventional round Cat5/6 cables with no negative effects. Their design and small physical size make them perfect for new, high density rack deployments or for cleaning up old tangled messes in overloaded cable management systems. 100% of all Slim cables are factory tested to Gigabit speed and can also be used to transfer POE. Let's look at the practical application comapred to conventional cable. In this 'before' image we have what some would refer to as a "Networking Nightmare". Now let's look at the 'after' image. No bird's nest of cable, no hassle switching ports. It's a dream for a network admin. Join our newsletter and receive updates upon our newest and feature products, all the information on our trade shows and trainings and professional help and tips for your wireless network. We are network engineers and WISP operators with experience designing, building, operating and maintaining networks.